and honor those who came before you..."
Top Row: Dave "Sudsy" Settlemyre (Trainer), Richard "Pez" Campeau, Mike Bradbury, George "Swarby" Swarbrick, Peter Cahill, Michel "Itchy" Plante, Jim "Turk" Evers (Equipment Manager). 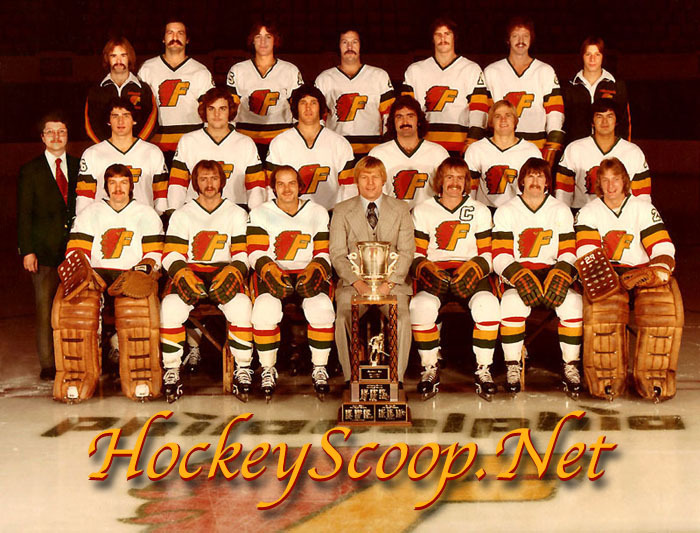 Middle Row: Bruce "Scoop" Cooper (PR), Don "Hayser" Hay, Dan Nelson, Ray "Shooter" Schultz, Mark "Bosco" Bousquet, Les "J.C." Crozier, Mike "Kono" Penasse. Bottom Row: Rejean "Reggie" Lemelin, Gordie "The Roadhog" Brooks, Bobby "B.C." Collyard, Gregg "Pill" Pilling (GM/Coach), Dean "Deano" Boylan, Randy "Wizzard" Osburn, Loren "Mooner" Molleken. 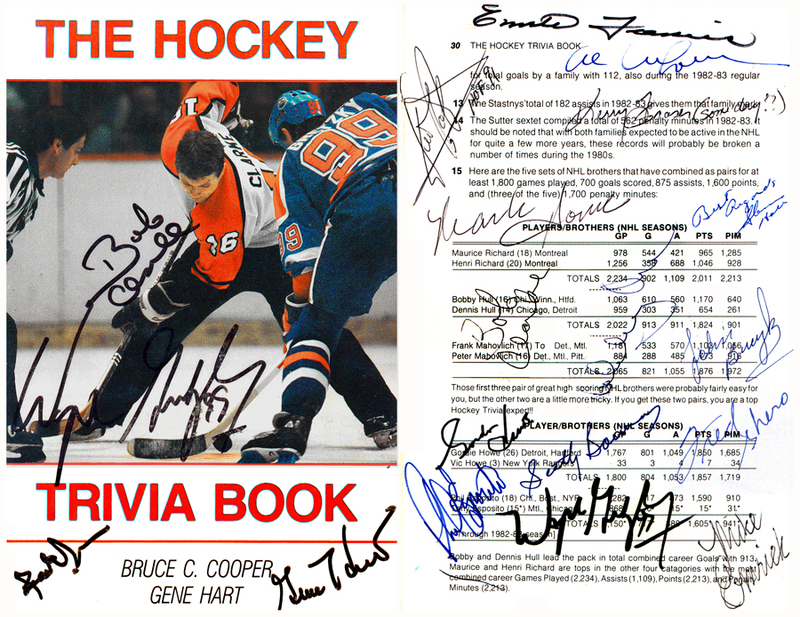 ...I have worked in pro hockey in Philadelphia and Hershey (Philadelphia Flyers, Philadelphia Phantoms, Philadelphia Firebirds, Hershey Bears) since 1969 as a freelance writer, PR man, historian, statistician, and in radio/TV broadcasting. I have written well over 2,000 articles (many for team programs of the Philadelphia Flyers (NHL), Philadelphia Firebirds (NAHL), Hershey Bears (AHL), Richmond Robins (AHL), Maine Mariners (AHL), and others, as well as three books on hockey -- "Conditioning for Hockey: Year Round" (co-authored with Pat Croce) Leisure Press, 1983; "The Hockey Trivia Book" (co-authored with Gene Hart) Leisure Press, 1984; and ten chapters in "Professional Sports Teams Histories - Hockey"Gale Research Co., 1994. (In addition to my hockey books, I have written and/or edited four books on North American (US and Canada) railroad history including "Riding the Transcontinental Rails: Overland Travel on the Pacific Railroad 1865-1881" Polyglot Press, 2005, 445-pages, Illustrated. and "The Classic Western American Railroad Routes" (320 pages, Illustrated). 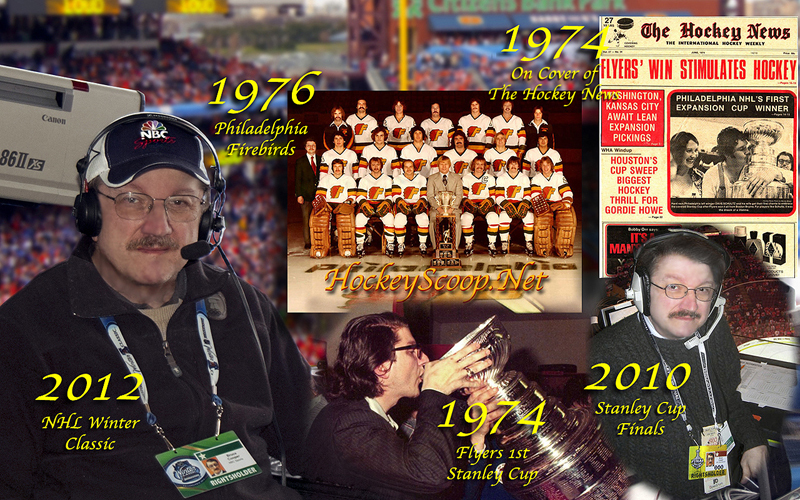 I have also appeared extensively in two documentary films relating to the history of the NHL Philadelphia Flyers: "History of the Philadelphia Flyers" (Warner Home Video, 2007) produced by NHL Productions, and "The Broad Street Bullies" (HBO Sports, 2010) and am currently co-producing a feature length documentary film on the life and times of my long time broadcasting colleague and close personal friend, the late Hockey Hall of Fame "Voice" of the Flyers, Gene Hart. In my various capacities I worked and/or attended over 3,000 professional hockey games. For additional detailed information on my background please also visit my Wikipedia User Page. 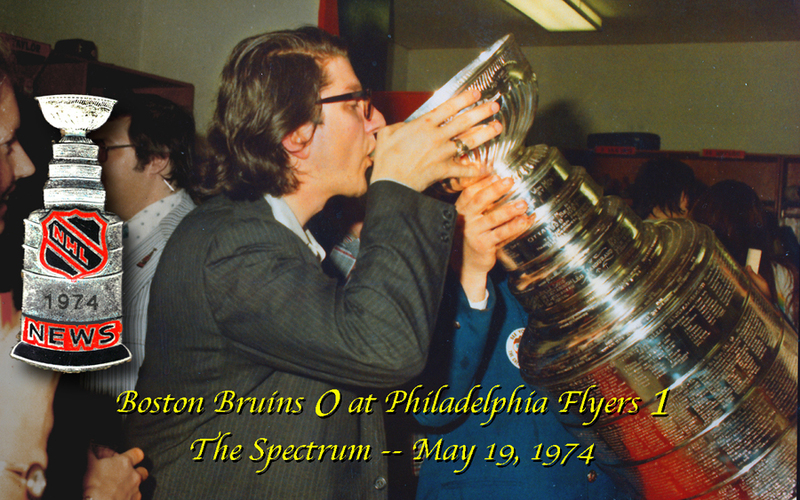 Drinking from the Stanley Cup in the Flyers' lockerroom in the Spectrum on May 19, 1974. 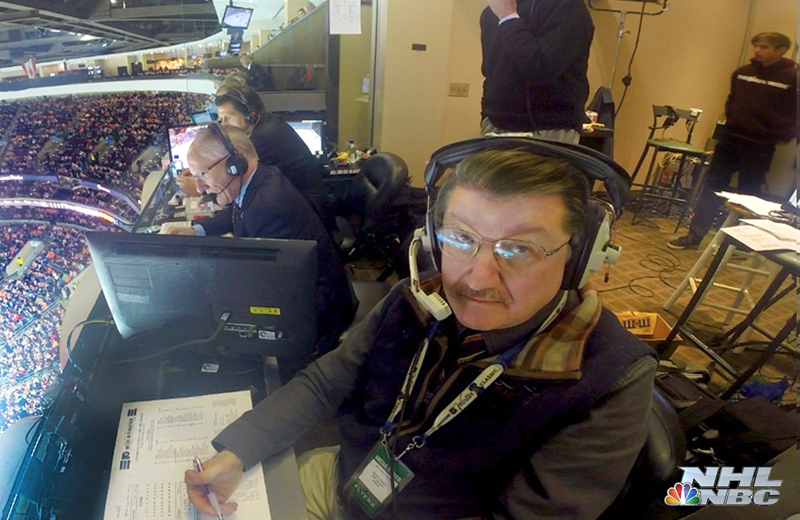 Working an NHL on NBC telecast of the Philadelphia Flyers with Doc and Edzo. 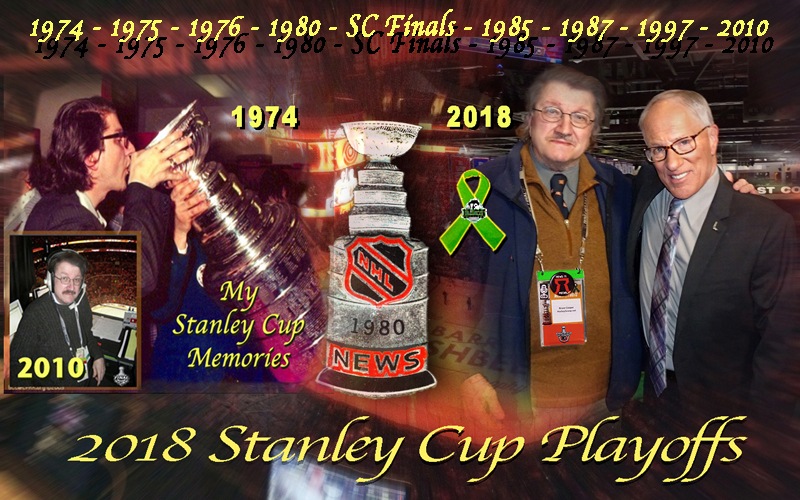 Some of my memories from eight Stanley Cup finals between 1974 and 2010. Fred Shero, Scotty Bowman, Al Arbour, Emile Francis, Kerry Fraser and Mike Emrick. Appearance on "The Heart of the Rink Hockey Show"
Father and son Hockey Hall of Famers Gordie & Mark Howe.